It has become fashionable for liberals and others who hate the tradition of Americanism to downplay the influence of religion on the Founders. Often, they try to portray the Founders generally without Christian belief, as a group of Deists (Deists do not believe in Christ and do not believe that God plays an active role in the affairs of men). Contrary to this, the scriptures and the prophets indicate that the Founders were God-fearing, religious men. For instance, the Doctrine and Covenants assures as that God “established the Constitution of this land, by the hands of wise men whom I raised up unto this very purpose, and redeemed the land by the shedding of blood [during the American Revolution]” (D&C 101). (Brigham Young, Journal of Discourses 7:13). In April 1898, after he became President of the Church, President Woodruff declared that “those men who laid the foundation of this American government and signed the Declaration of Independence were the best spirits the God of heaven could find on the face of the earth. They were choice spirits … [and] were inspired of the Lord” (Conference Report, April 1898, p. 89). 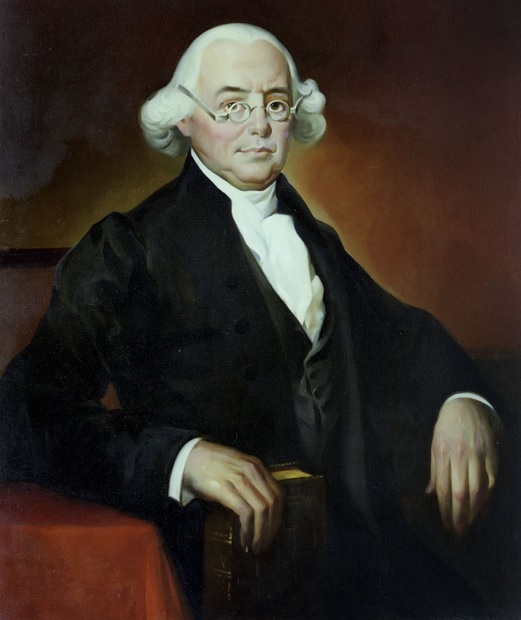 David O. McKay referred to the Founders as “patriotic, freedom-loving men, who Latter-day Saints declare were inspired by the Lord” (David O. McKay, Gospel Ideals, p. 319). Thomas Jefferson, arguably the greatest mind among the Founders, predicted the restoration of primitive Christianity in his later life. In 1820 he wrote that “truth will prevail over fanaticism, and the genuine doctrines of Jesus, so long perverted by His pseudo-priests, will again be restored to their original purity.” Jefferson further predicted that this Restoration would not occur in his lifetime, as he explained, “This reformation will advance with the other improvements of the human mind, but too late for me to witness it” (Andrew Allison et al., The Real Thomas Jefferson, p. 366). Thomas Jefferson died July 4, 1826, about four years before the Church was established in 1830. Further, Thomas Jefferson also wrote, “Happy in the prospect of a restoration of primitive Christianity, I must leave to younger athletes to encounter and lop off the false branches which have been engrafted into it by the mythologists of the middle and modern ages” (ibid.). It is clear that Thomas Jefferson was in touch with the Spirit of God to such an extent that he received important revelations about the future of Christianity. Wilford Woodruff related a situation where he had the Founding Fathers appear to him in the St. George Temple and require that their ordinance work be done. (Wilford Woodruff, Journal of Discourses 19:229). We know from the scriptures that only those who “would have received [the Gospel] if they had been permitted to tarry [on earth], shall be heirs of the celestial kingdom of God” (D&C 137:7). Since the Founders accepted the Gospel in the afterlife, we can conclude that they would have accepted the Restored Gospel of Jesus Christ had it been preached in their lifetimes. This is further evidence that the Founders were mostly quite religious and spiritual, and sensitive to the things of God and religion. (General Orders, May 2, 1778). (Speech to the Delaware Indian Chiefs, May 12, 1779). (Fragments of the Draft First Inaugural Address, April 1789). (First Inaugural Address, April 30, 1789). (Debates and Proceedings in the Congress of the United States, Vol. 1, p. 28, April 30, 1789). (Farewell Address, September 17, 1796). (Letter to an unknown person, 1757). (Letter to George Whitefield, June 19, 1764). (“Information to those who would remove to America,” September 1782). (Speech to the Constitutional Convention, June 28, 1787). (Letter to Ezra Stiles, March 9, 1790). (Summary View of the Rights of British America, 1775). (Declaration of Independence, July 4, 1776). (Letter to Jared Sparks, November 4, 1820). (Notes on the State of Virginia, 1781-1785). (Letter to Danbury Baptist Association, January 1, 1802. Note that such a wall of separation between church and state is not to prohibit churches from influencing the state, but to prevent the establishment of a state religion.). (Letter to Dr. Benjamin Rush, April 21, 1803. While it is clear that Jefferson’s earlier views of Christ were that he was not Divine, it is apparent that he changed his views about the Christ later on in his life, making references to “my Savior.” An example is his letter to Martin Van Buren on June 29, 1824 (Andrew Allison et al., The Real Thomas Jefferson, p. 300, 364-365)). (Letter to Charles Thomson, 1816). (Letter to James Fishback, September 27, 1809). 3. That to love God with all thy heart, and thy neighbor as thyself, is the sum of religion. (Letter to Dr. Benjamin Rush, June 26, 1822). (Letter to William Bradford, November 9, 1772). (Letter to William Bradford, September 1773). “It is the duty of every man to render to the Creator such homage. Before any man can be considered as a member of Civil Society, he must be considered as a subject of the Governor of the Universe. (Memorial and Remonstrance Against Religious Assessments, 1785). (John Adam’s Diary, February 22, 1756). (John Adam’s Diary, July 26, 1796). (Letter to the Officers of the First Brigade of the Third Division of the Militia of Massachusetts, October 11, 1798). (Letter to Zabdiel Adams, June 21, 1776). (Letter to Abigail Adams, November 2, 1800). (Letter to Thomas Jefferson, June 28, 1813). (Letter to Thomas Jefferson, December 25, 1813). (Letter to Thomas Jefferson, April 19, 1817). (Letter to Charles Carroll, August 2, 1820). (Letter to F.C. Schaeffer, November 25, 1821). (Speech to the State House of Pennsylvania, Philadelphia, August 1, 1776). (Letter to Elizabeth Adams, December 26, 1776). (Rights of the Colonists, November 20, 1772). (Fast Day Proclamation, March 20, 1797). (Letter to William Checkley, December 14, 1772). (Letter to John Trumbull, October 16, 1778). (Letter to Thomas Wells, November 22, 1780). (Letter to John Adams, October 4, 1790). “I now offer you the outline of the plan they have suggested. Let an association be formed to be denominated 'The Christian Constitutional Society,' its object to be first: The support of the Christian religion. Second: The support of the United States. (Letter to Letter to James Bayard, 1802). (Final words after being fatally wounded in a duel with Aaron Burr, July 1804). (To the Committee of the Corporation of the City of New York, June 29, 1826). (Letter to Peter Augustus Jay, April 8, 1784). (Letter to Rev. Uzal Ogden, February 14, 1796). (Letter to John Murray, Jr., October 12, 1816). “In circumstances dark as these, it becomes us, as Men and Christians, to reflect that, whilst every prudent Measure should be taken to ward off the impending Judgments. (To Massachusetts Provincial Congress, April 15, 1775). (Letter to Henry Lee, June 27, 1795). (Will of Patrick Henry, November 20, 1798). (Letter to Archibald Blair, January 8, 1799). (Letter to his daughter, August 20, 1796). (Speech before the New York Historical Society, September 4, 1816). (Virginia Declaration of Rights, Article 16, 1776). (Will of George Mason, March 20, 1773). (Letter to Elias Boudinot, July 9, 1788). (A Defence of the Use of the Bible as a School Book, 1798). (Letter to Jeremy Belknap, July 13, 1789). (Letter to Jeremy Belknap, March 2, 1791). (Letter to John Adams, January 23, 1807). (Essays, Literary, Moral, and Philosophical, 1806). (Letter to John Adams, June 4, 1812). (To John Armstrong, March 19, 1783). (On the Mode of Education Proper in a Republic, 1806). (Common Sense, February 14, 1776). (The Rights of Man, 1791). Note: Thomas Paine turned from Christianity later in life, but during the time he was most respected and influential in inciting the American Revolution - the role by which history is indebted to him - he was thoroughly Christian. (Letter to Thomas Dawes, December 20, 1808). (History of the United States, published 1832). (Personal creed which was adopted by his church). (Letter to John McHenry on November 4, 1800). (Statement made on Charles Carroll's 89th birthday). (Letter to Jasper Adams on May 9, 1833). (Discussion with John Roberts at his sentence to death, Respublica vs. John Roberts). (Speech on Proposed Federal Constitution, November 24, 1787). (Speech to the Inhabitants of the Town of Newburyport, July 4, 1837). (Christopher Columbus as quoted in Mark E. Petersen, The Great Prologue, p. 26. Compare with 1 Nephi 13:12).